The manicure I'm going to show you today is Nubar - Night Sparkle. I've been wanting this polish and was thrilled that Karl from PetrasNailStore offered me to try review a few Nubars. 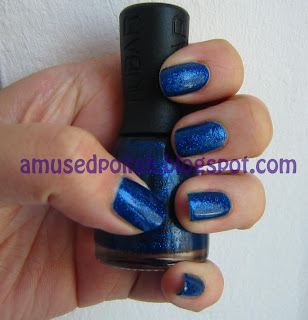 About the colour: If the sun/light hits it, it's cobalt-blue with the lighter blue glitter but in the shade or lower light, the glitter stands out and the base colour changes into an dark, almost navy blue. What a beautiful blue polish! 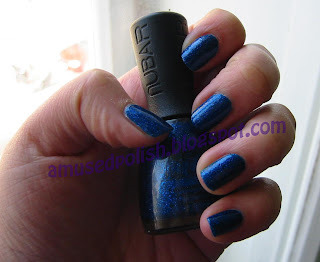 Thanks for including so many pictures, it makes me want to go out and buy this Nubar polish all the more!